Dead peach flowers - any ideas? Anyone know what could have caused this? Is this fertilizer burn? Normally the flowers bloom by now (they should have opened about 2 weeks ago) but these look like they will not be blooming at all and feel dry. 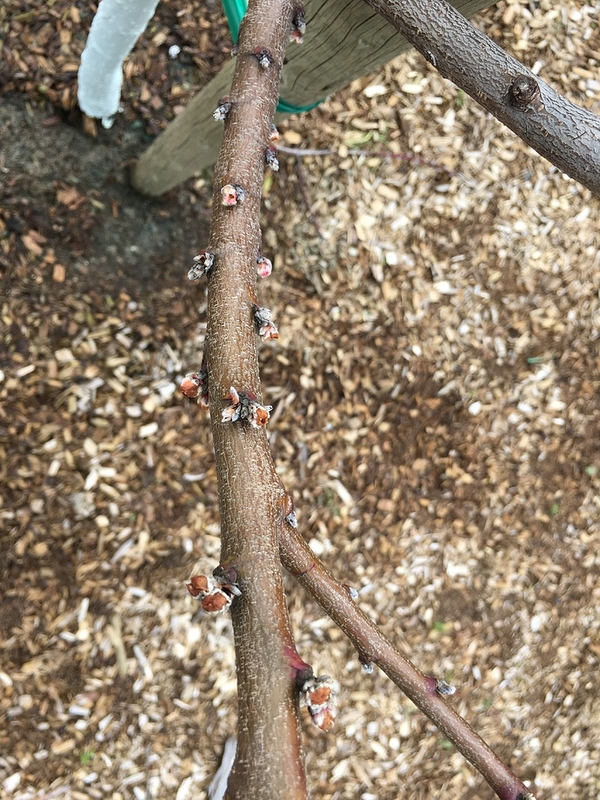 Where the buds are showing are now brown, I was seeing dark pink up until about 2 weeks ago. Looks like the tree is dead. In addition to flowers, there should also be emerging some green leaf tissue at the same time. Have you checked the base of the tree for anything suspicious looking? I don’t see anything suspicious like borer holes at the base. When I scrape at the bark, I see green bark - would that signify that the tree is still alive? Would it be a ‘low chill’ variety that budded in mid-winter and then weather in the teens came along? 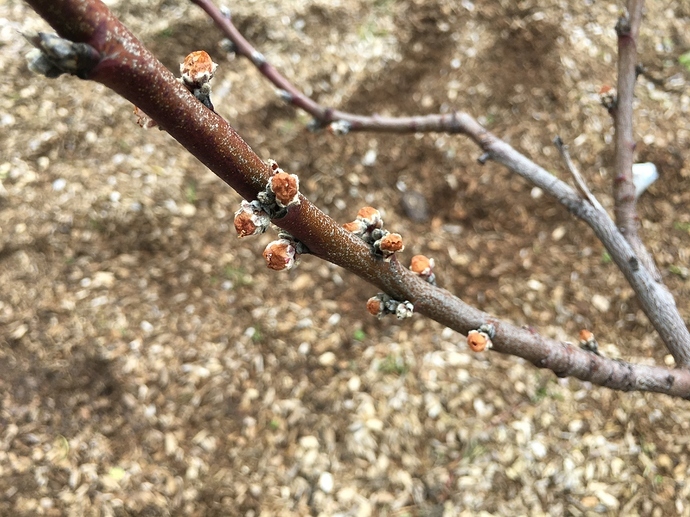 If so, it may yet live and grow…but no fruit this year! This is an Elberta Peach which is about ~600 hours of chill. I’m also in Zone 10a in coastal Bay Area, California so we’ve never gotten into the teen temps here. In fact, the lowest we had this winter was 30 and as of mid February, we’ve only seen 40+ F.
I’m ok with no fruit for a year. I’m just hoping that whatever has happened wont result in me putting in an entirely new tree. Yesterday I flooded the tree’s roots to flush out or dilute anything that might have resulted in this. I hope it’ll stay alive. 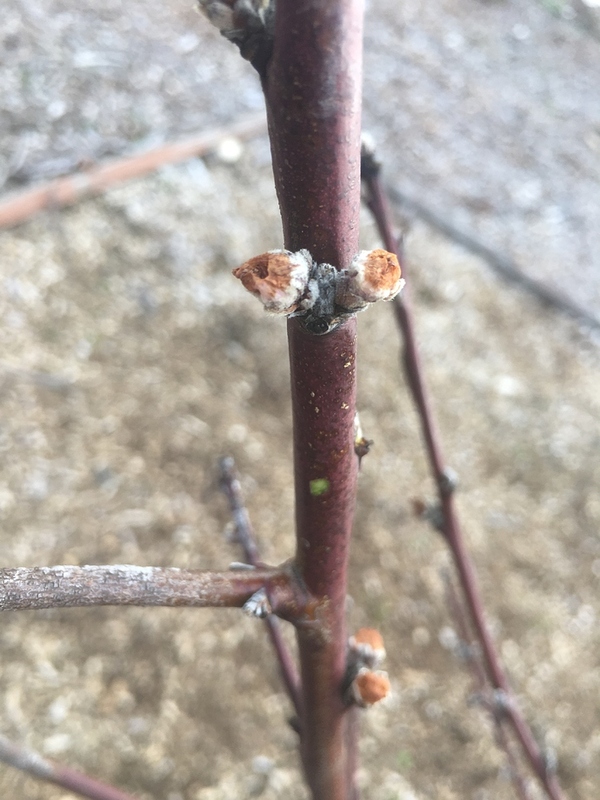 Novice Question - When something like this happens, is it possible for the tree to try to sprout new leaves later in an attempt to recover? Or do all the leaves come in at the same single time and then new leaves don’t appear later in the season? Better let somebody else diagnose your malady. Generally it does. Sometimes though a peach tree will show green bark and fail to leaf, or make a very half-hearted attempt, then die. In my area it’s because of cold shock. Obviously this wouldn’t apply to peaches grown in the Bay area. Funky things happen when peaches don’t get enough chill. It really messes with the tree’s internal clock. It could yet sprout some leaves I suppose. I dug up the peach this past weekend. The top canopy is about 5 feet wide but somehow there was very little root development since I planted it several years ago. The roots were less than 3 feet wide. I wonder if the tree’s blooms were just too much for the weak root system. It would be hard for me to say what killed in in CA. I think you are on the right path though. Something caused this tree not to develop a good root structure, which would be indicative of a weak tree. Is the tree planted in a low area? have you seen in the past evidence of too much water (yellowing leaves etc)? Peach are very sensitive to wet feet especially in clay soils in my experience. A raised bed for it helps a lot. That’s all very true. And I think it bears repeating often as a reminder. However, I don’t think that will help Bonita’s peach tree in the San Francisco bay area. The area only gets about 23" of rainfall per year, and almost nothing in the summertime.